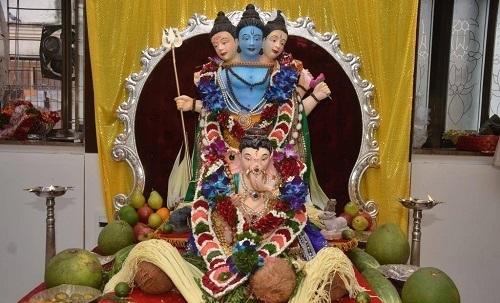 Ganapati Bappa Morya !!! 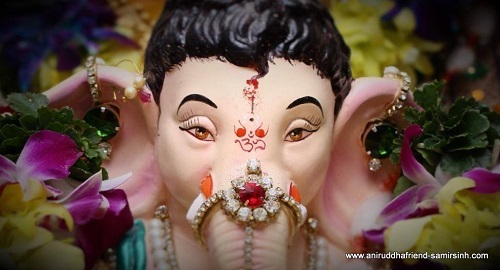 The month of August marked the celebration of of the much awaited festival of Ganesh Chaturthi. There was rejoicement in the air and people were seen celebrating the utsav with great fervour. 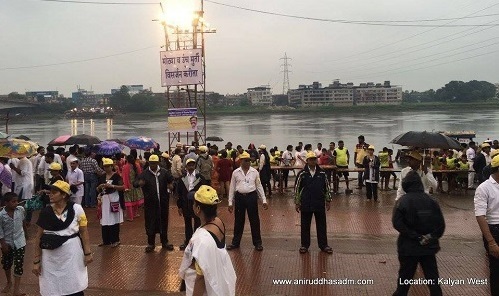 The Disaster Management Volunteers (DMVs) of Aniruddha’s Academy of Disaster Management too had a major role to play on the Ganapati immersion days. 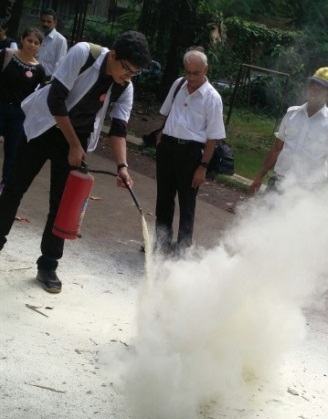 They extended their full support to the police and civic authorities on their specific request. Deepavali, the festival of lights is round the corner. It spiritually signifies the victory of light over darkness, good over evil, knowledge over ignorance and hope over despair. I wish all the readers a very Happy Deepavali and a prosperous New Year. Quilts aptly symbolize the warmth of love as these are the fruits of the efforts of the volunteers of the Foundation who infuse the warmth of love; singing the praises of the Lord as they go about making the quilts. Out of the basic human needs of food, clothing and shelter, the quilt that we offer under the ‘Warmth of Love Project’ signifies ‘clothing’ and ‘shelter’. In certain regions of India the temperature in winter drops to unbearable low degrees and at times even proves fatal. Shraddhavans devote their time and energy to make quilts which are then handed over to the needy. 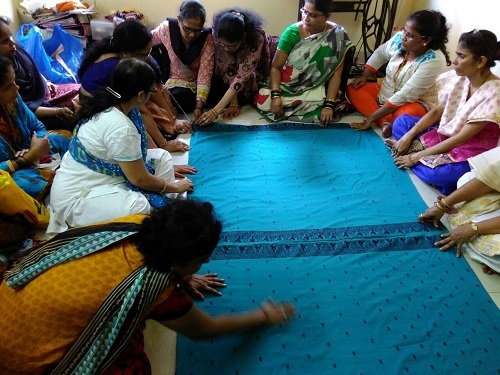 Shree Aniruddha Upasana Foundation also organizes Quilting training programme, both for men and women. 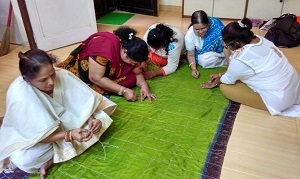 The participants are trained in making quilts using old sarees and bedspreads. The stitches on these quilts are purposefully kept small and dainty so that babies do not find their earrings getting stuck in it. These quilts are light in weight making it easy for even pregnant women to wash and wring them. Considering the conditions in the regions where the quilts are distributed, they are stitched and closed on all four sides so that insects do not wriggle into the folds or layers of the quilts. This quilt is different in more ways than one. The one making the quilt and donating it and the one using it neither know, nor ever see each other. But the beauty of this unique situation is that there is exchange of love that draws a smile on both the faces that remain anonymous for each other. Shree Aniruddha Upasana Foundation had also distributed these quilts to the needy during the floods of 26th July 2005. These quilts are also regularly distributed to the needy during the annual Medical and Healthcare Camp held at Kolhapur and Virar. 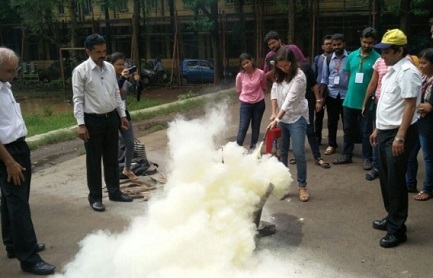 Apart from the above a Rescue Lecture and Fire Demo was conducted by AADM at G. S. Medical College (K. E. M. Hospital) on 9th August, 2016 for its students. 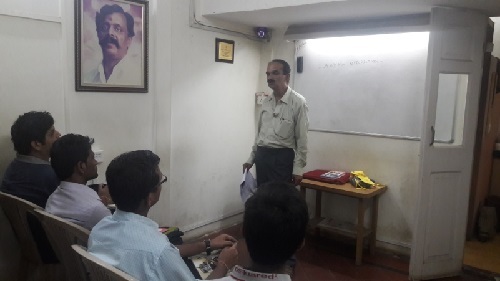 A total of 45 students attended the course. 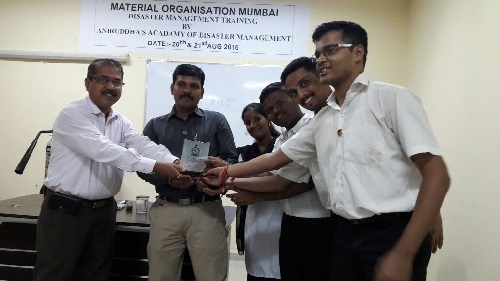 AADM Corporate Course was also conducted at Indian Navy Material Organization, Ghatkopar on 20th and 21st August 2016. 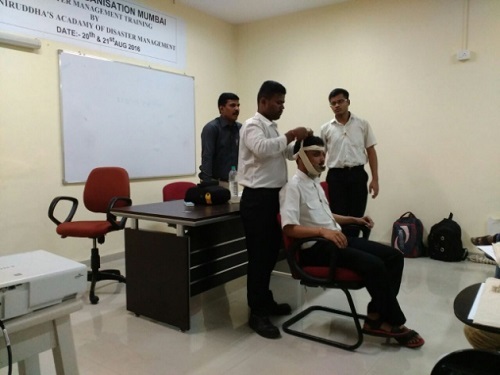 A total 34 staffers of Indian Navy Material Organization attended the course. 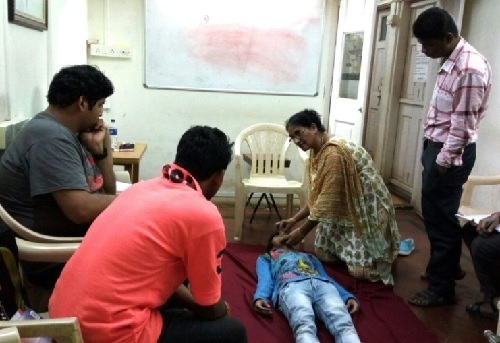 The DMVs of Aniruddha’s Academy of Disaster Management had a major role to play on the final day of Ganapati immersion. 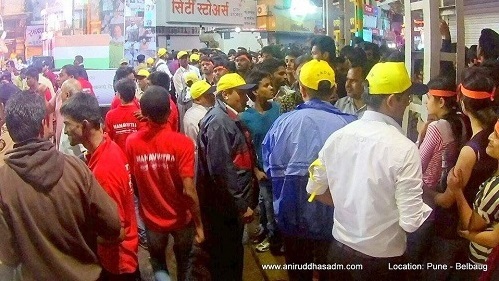 On the specific request of the Police authorities, AADM provided able support to them along with Civic authorities at more than 50 locations in and around Mumbai. The Police authorities were lavish in their praise of AADM and thanked its officials for the much needed support extended. Devotees thronged to seek the darshan of Lord Ganesha on all the three days from 5th September 2016 to 7th September 2016. 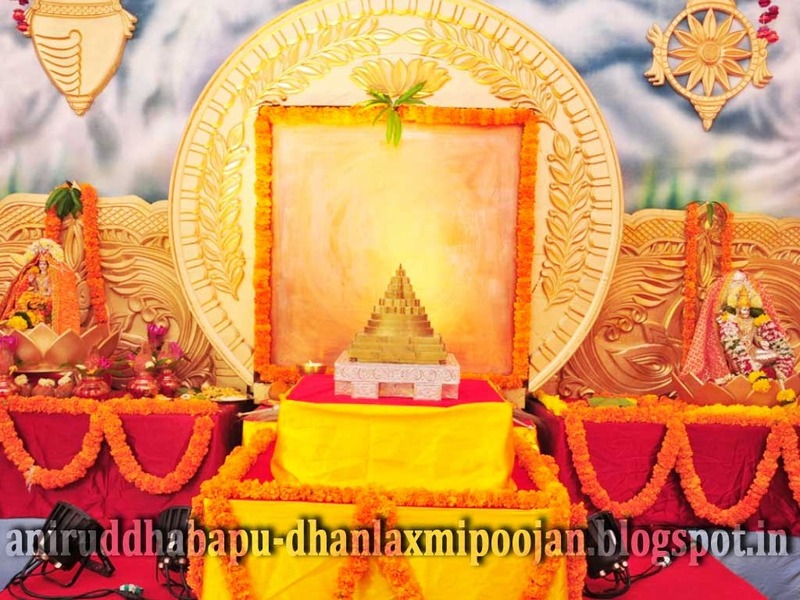 This is one occasion when devotees also get an opportunity to visit the residence of their Sadguru. Congratulations to Amit Vinod Joshi for securing 97.8% marks in SSC examination held during MARCH 2016. 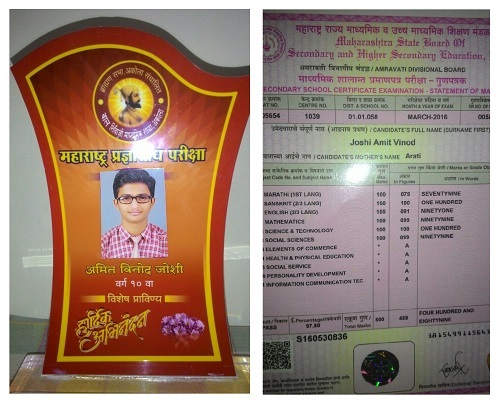 He stood third in the School and also scored 100 out of 100 in two subjects. 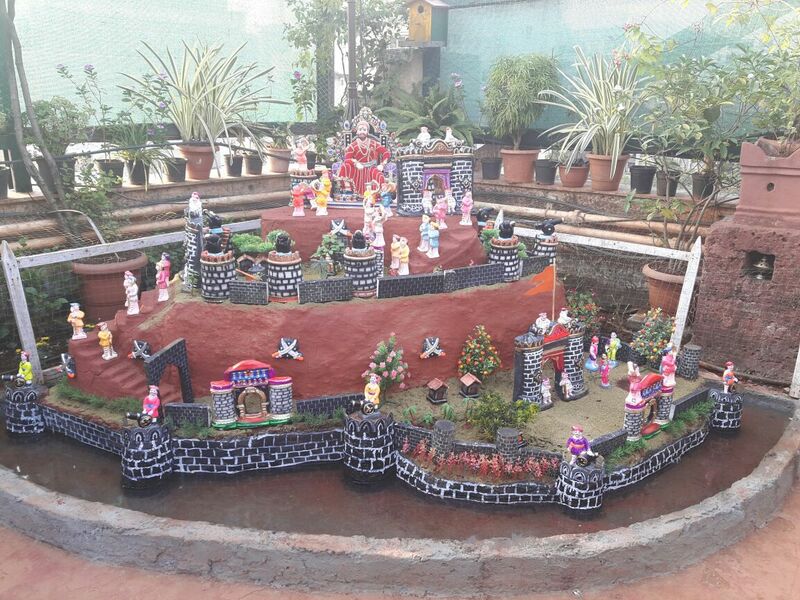 Amitsinh is a Shraddhavaan from Akola and a student of Bal Shivaji Madhyamik Shala.